Banca March - Crecemos con valores, crecemos juntosHow do we work? We offer you a distinctive financial advice service based on closeness and a deep knowledge of your needs. 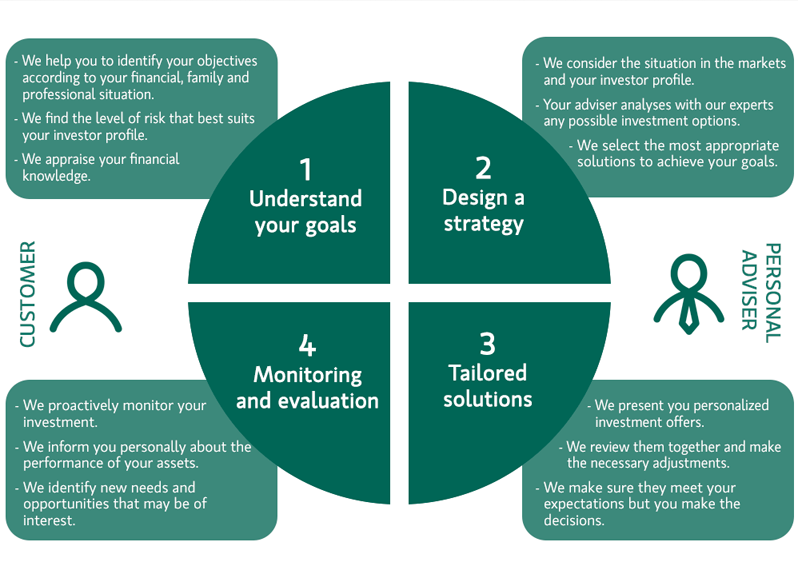 A methodology that will enable us to have detailed information about your objectives so we can draw up together the most appropriate investment plan to achieve them. You will always be guided by your personal adviser, a highly qualified specialist who will provide you with all technical resources available at the bank in order to ensure success.